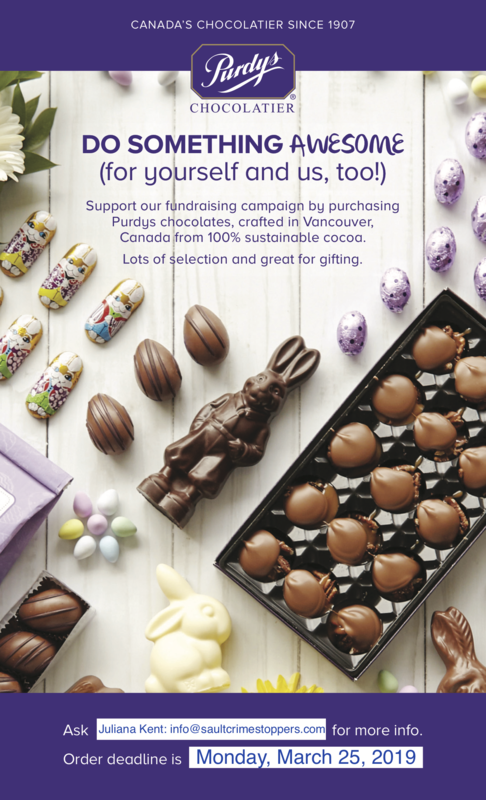 Easter Chocolates In Support Of Crime Stoppers is fundraising with Purdys Chocolatier, just in time for Easter! If you’d like to support us through purchasing some very sweet Easter gifts for friends, family and yourself, you have 2 options! To submit a paper order form download the PDF below and check out the catalog! email it to info@saultcrimestoppers.com and e-transfer payment.